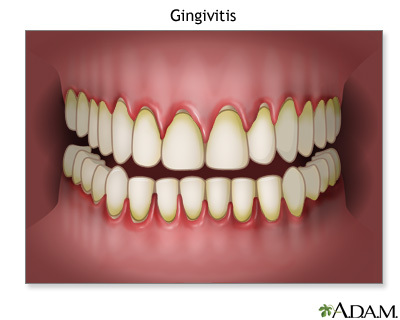 Gingivitis is a very common dental problem. Gingivitis can cause bad breath, bleeding gums and mouth pain, and if left unchecked can eventually lead to serious periodontal disease. Once gingivitis has led to periodontal disease, victims are at risk of tooth loss and even heart disease. We get gingivitis because of rampant bacteria in our mouths. To get rid of the gingivitis, therefore, we have to get rid of the bacteria. Brushing and flossing help get rid of bacteria, particularly when done thoroughly and regularly. In addition, professional cleanings from the dentist help rid our mouths of bacteria. Gingivitis can be annoying and uncomfortable. And, if we neglect our mouths after we have been diagnosed with gingivitis, it can lead to far more serious mouth problems.